We always tell those who do not win, well it is how you play the game that is important not who wins. But sometimes it is nice to win something. 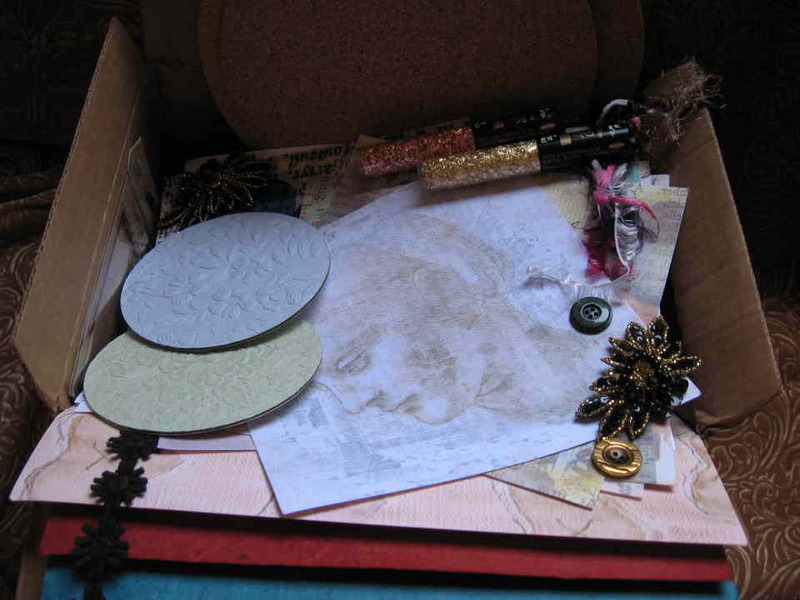 This is a picture of a prize box that arrived recently from lovely Deb for my contribution to a monthly challenge on the Yahoo AB Altered Book site. Every month they post new challenges on themes that result in the most amazing array of different interpretations using all kinds of techniques. Contributing to the challenge every month tests me, watching what everyone else posts inspires me, being voted in by the gang made my day and the arrival of this parcel bursting at the seams with all kinds of new things to play with made my week.